So with the last of our Christmas days out done today, it’s probably time to accept that Christmas for this year has come to an end. We had a lovely time spent with family, exchanging gifts and eating our collective body weight in food!! It was important to me that little one didn’t miss out on the Christmas experience because of her allergies and I can honestly say that I don’t think she did. On Christmas Eve we started a new tradition for us- a Christmas Eve box. It was filled with Christmas pyjamas, a Christmas book and a Moo Free chocolate bar. We read through the book whilst enjoying a hot chocolate, little one’s first one! 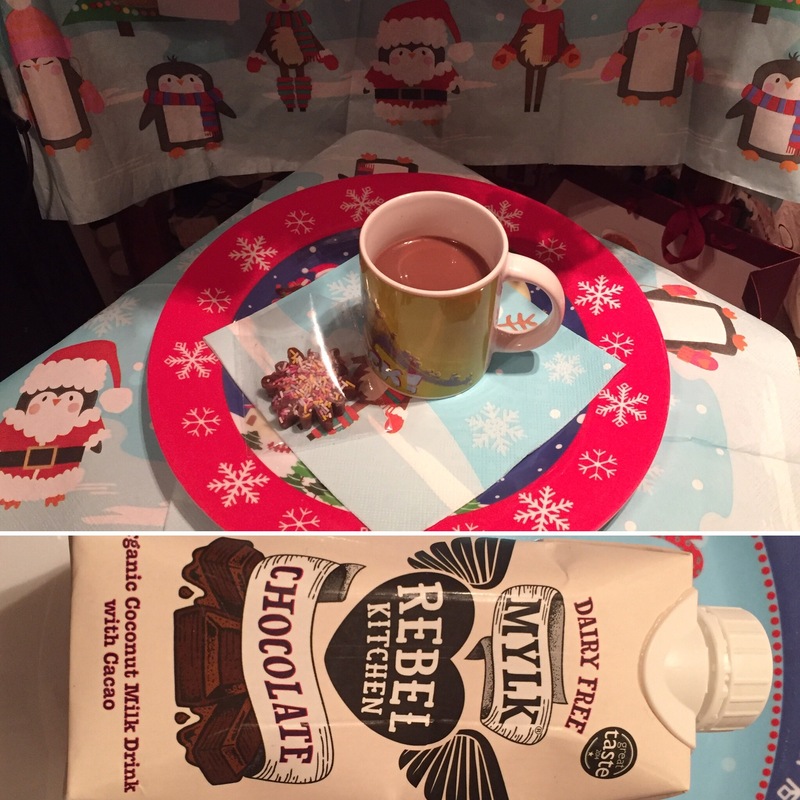 I gently heated some chocolate Rebel Kitchen Mylk in a pan and allowed to cool slightly before drinking with a straw. Little one wasn’t too keen on it which is most likely because she no longer has warm milk. Oh well there was more for me! She did enjoy dipping the chocolate bar in it though. 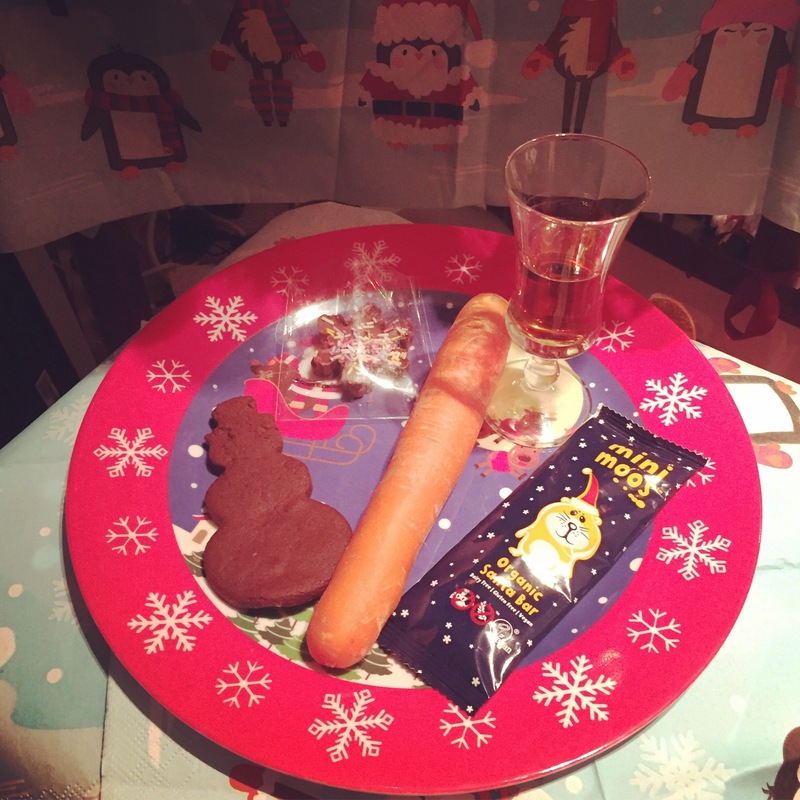 We also left out a tray of treats for Father Christmas and his reindeer. A sherry, a dairy free tree chocolate that we had made, a Mini Moo chocolate bar, a peppermint chocolate biscuit, and a carrot. Little one was beyond excited to see if the treats had been eaten the next morning… They had!! 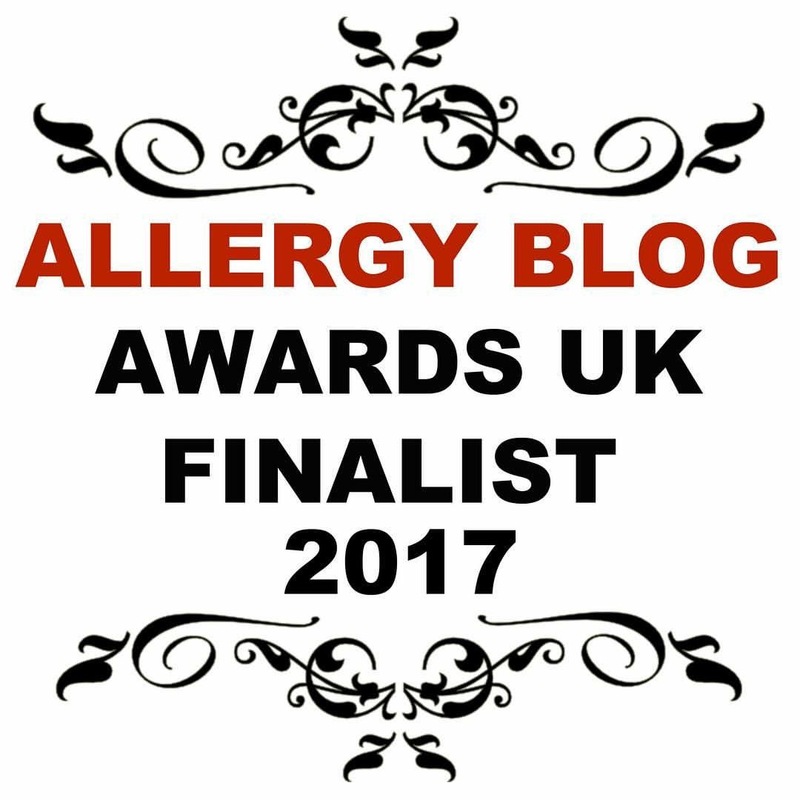 As with everything to do with food and allergies, planning was absolutely necessary. We had Christmas dinner at my brother and future sister in law’s which was lovely. Beforehand we discussed who would be making what. Them- the stars of the show, turkey and roast potatoes. Me- the sprouts, stuffing balls, and pigs in blankets. We checked to make sure the turkey wasn’t butter basted or what the roast potatoes were going to cooked in. I made the stuffing balls to make sure that they were allergy friendly. 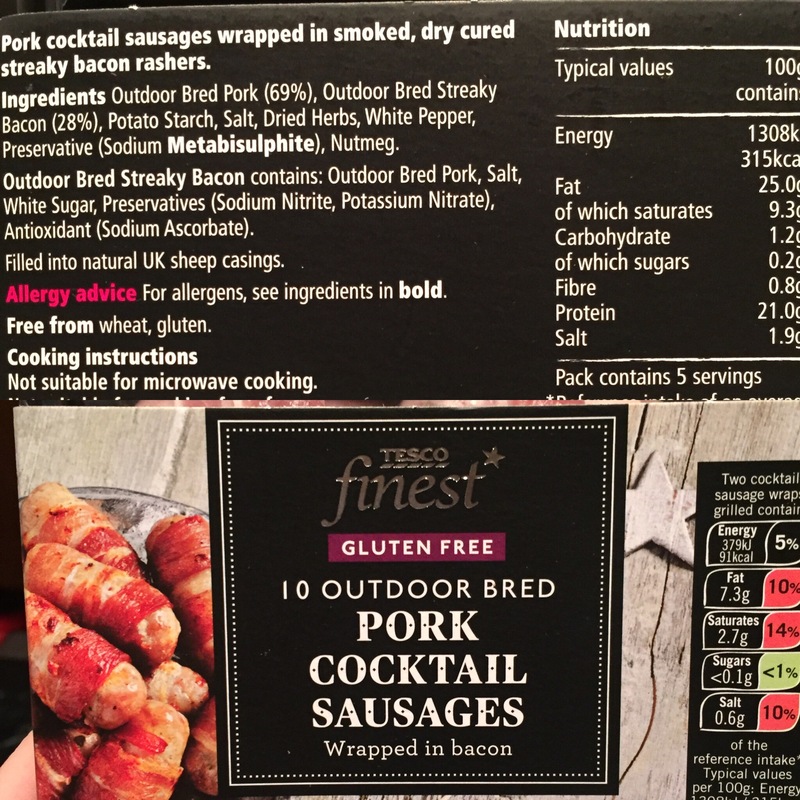 I was planning to wrap the pigs in blankets too, when I found Tesco’s Finest ones were safe and gluten free too. 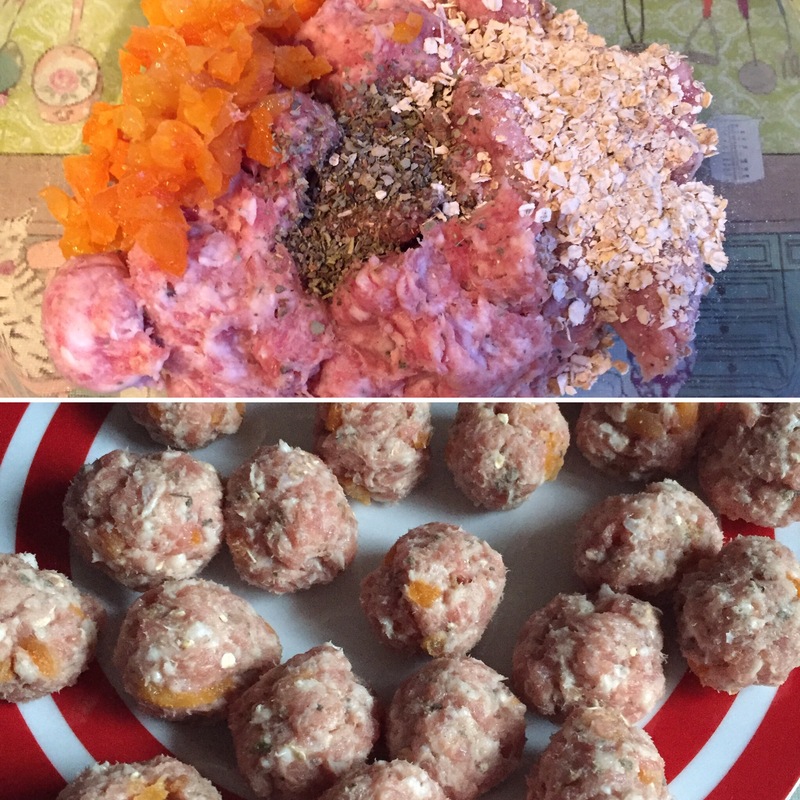 The stuffing balls were easy to make and could be prepared the day before to reduce cooking time on the actual day. 1. Mix all the ingredients together thoroughly and divide into 25 golf ball size balls. 2. Chill in the fridge to firm up before cooking on a lined baking tray in a preheated 200c oven for 30 minutes! 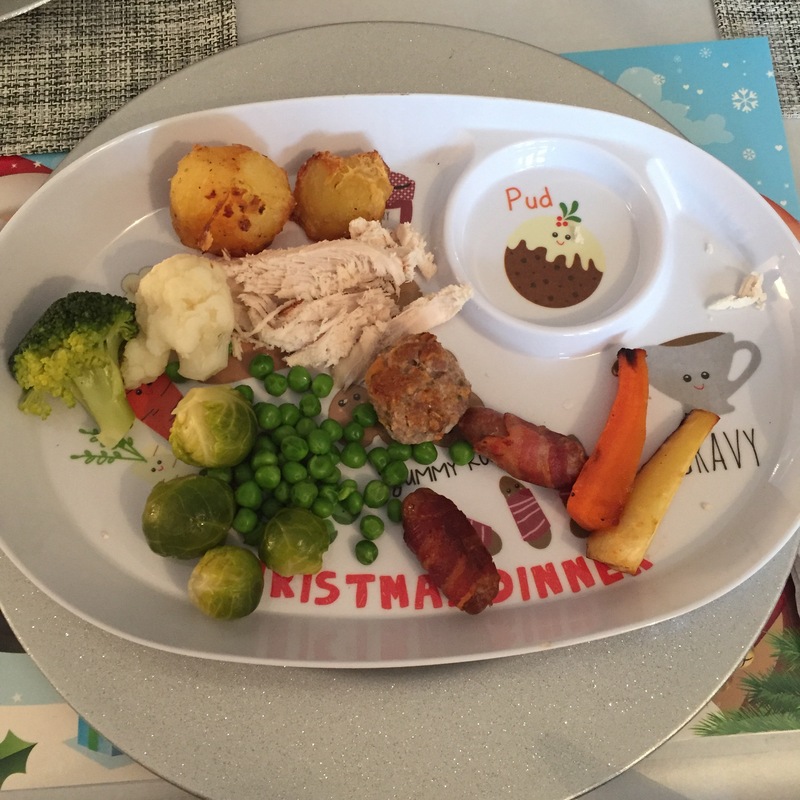 Little one ate most of her Christmas dinner, with her sprouts being the first to go! It never ceases to amaze me how much she enjoys her vegetables, I just hope it continues! For pudding I made a large version of my vegan Banoffee Tart. The quantities in the original recipe for 4 individual tarts makes for one large tart. 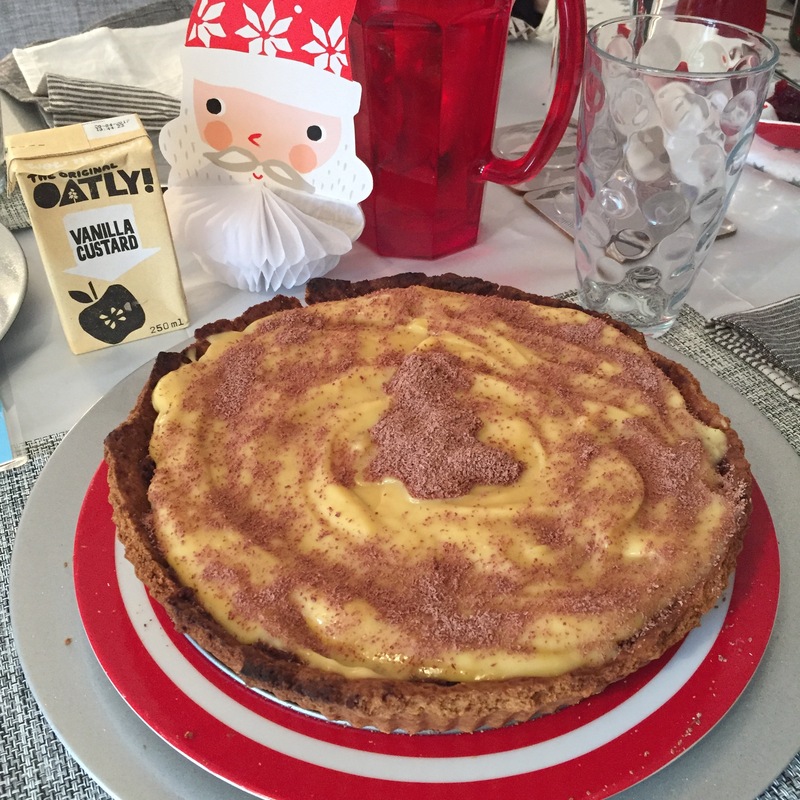 I served it with a generous spoonful of Oatly ready made custard, which has become little one’s favourite thing! I decanted some into a NomNom pouch and took it with us when visiting family over the following days. 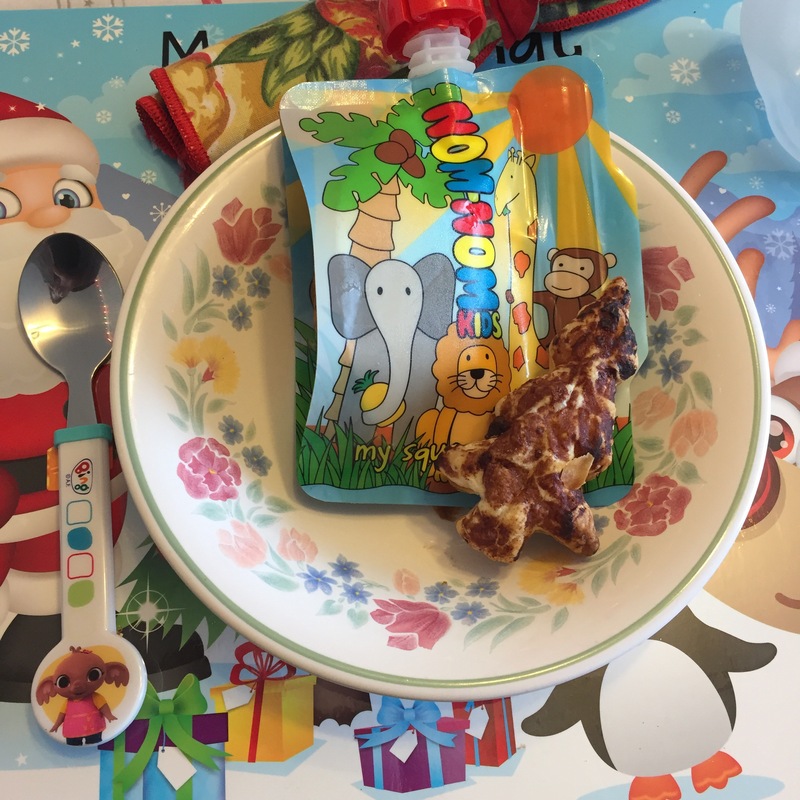 It’s a handy go-to dessert which little one enjoyed eating straight from the NomNom pouch. Christmas dinner leftovers were perfect for taking when visiting relatives. We also went armed with allergy friendly sweet eats too as we knew that there would be lots of treats around. The Christmas tree chocolate decorations we made a couple of weeks ago doubled brilliantly as after dinner chocolates. There were plenty of peppermint chocolate biscuits to enjoy as well, as we made them as gifts for relatives. All in all, Christmas went brilliantly. Little one varied from being unbelievably excited to being overwhelmed, but most importantly she had a reaction free Christmas without missing out!! 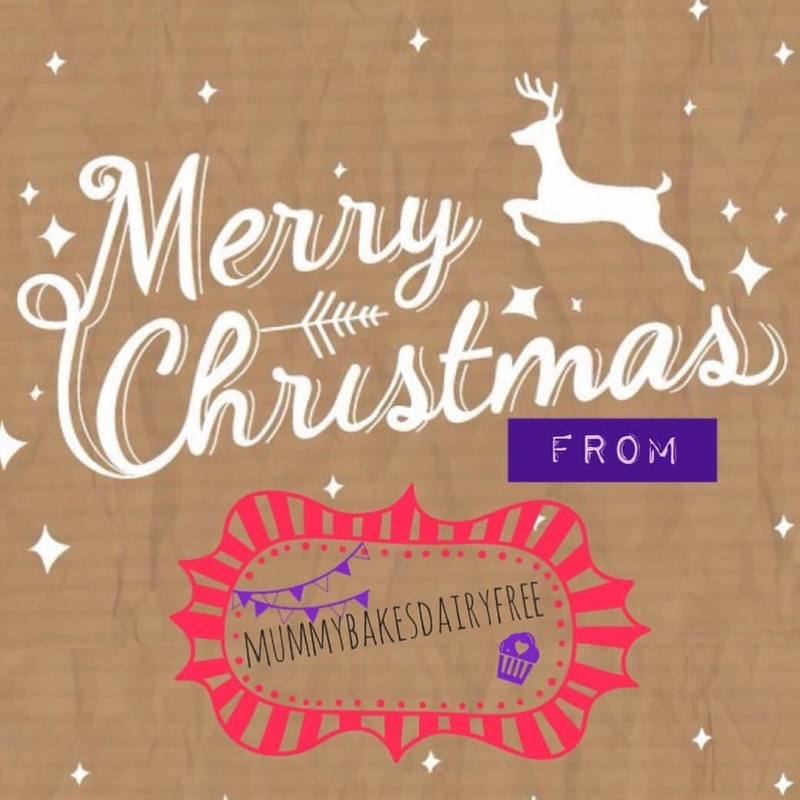 We hope you all had a lovely Christmas too! !